There are few figures in British history more famous than Winston Churchill. Renowned for guiding Britain through the tumultuous Second World War, his speeches echo through history, and his wartime leadership was recognised as essential for weathering the WWII. But there is so much more to the man than his speeches and official images. Churchill explores that hidden history in detail, tracking Churchill's nine-decade life from his early childhood, all the way to his last days. 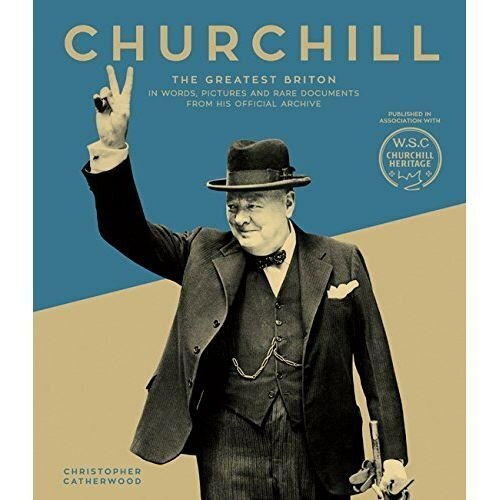 Few characters in history have written as much as Churchill, and his writings and the photographic records happily provide the opportunity to put together a unique illustrated portrait of this remarkable man. Churchill is full of revealing personal letters, documents, and speeches, which draw attention to the unforgettable power of his oratory, which added a heroic dimension to a leader who was undoubtedly a true statesman. That is not to say he was without fault - the disastrous Gallipoli campaign, the creation of Iraq in 1921, his blind spot over India - all these contributed to a reputation for unreliability that dogged much of his public life. This results in an exciting, colourful retelling of this political titan's life, and is most definitely a must-read.